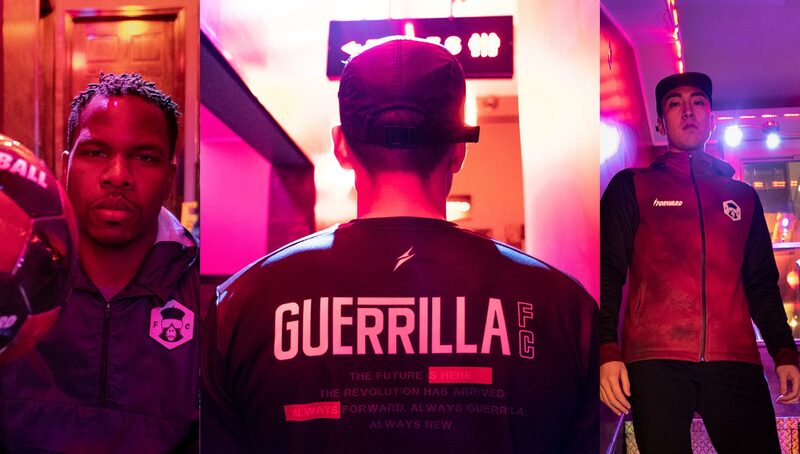 With a full line that includes everything from a captain’s band to training jersey, the upcoming Guerrilla FC x Forward collaboration somehow exceeds expectations. The entire collection will be available January 18 exclusively through online retailer RAYSBEACHCLUB. Synergy may be one of the most annoyingly overused buzzwords in business today, but it sums up Guerrilla FC’s upcoming collaboration with Forward almost to a T. It’s ironic that this s-word used by countless entrepreneurs on a daily basis so accurately describes work from Guerrilla FC — the rebellious, subversive football club/fashion label that identifies more with communist dogs than it does with capitalist pigs. 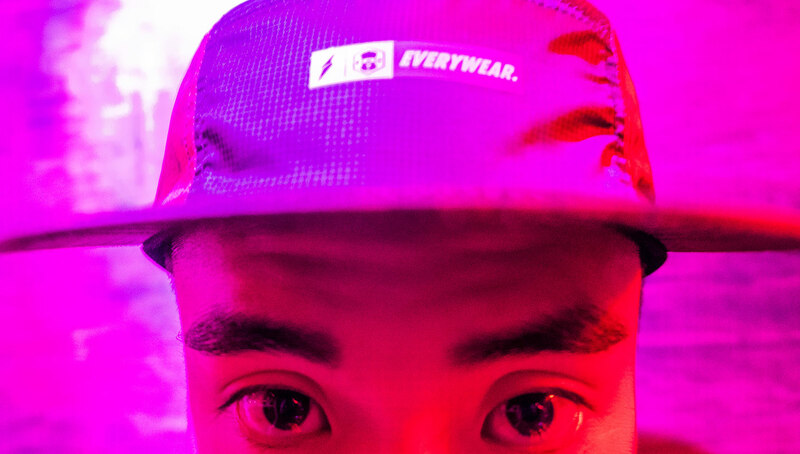 The like-minded nature of both brands makes the collaboration a no-brainer, and it has produced a slick line that includes a training jersey, snapback cap, tech fleece jacket, football, captain’s armband, and the crown jewel, a black-to-red gradient half-zip anorak. 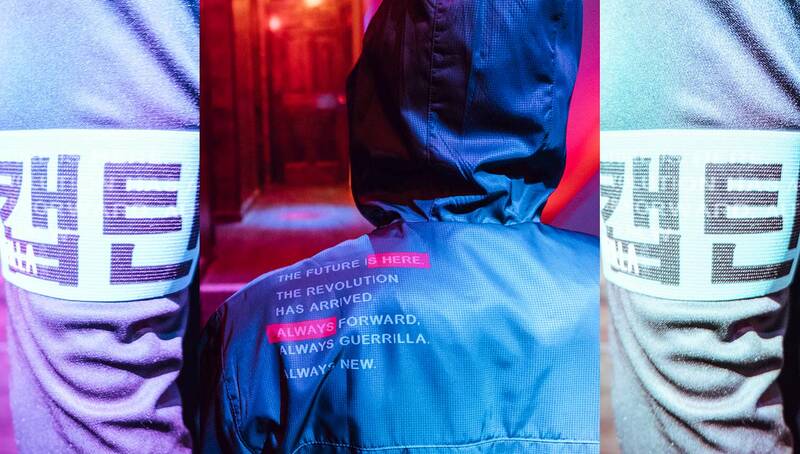 The similarities between the two labels is apparent throughout the collection, with Forward’s creative design seamlessly pairing with Guerrilla FC’s futuristic look. 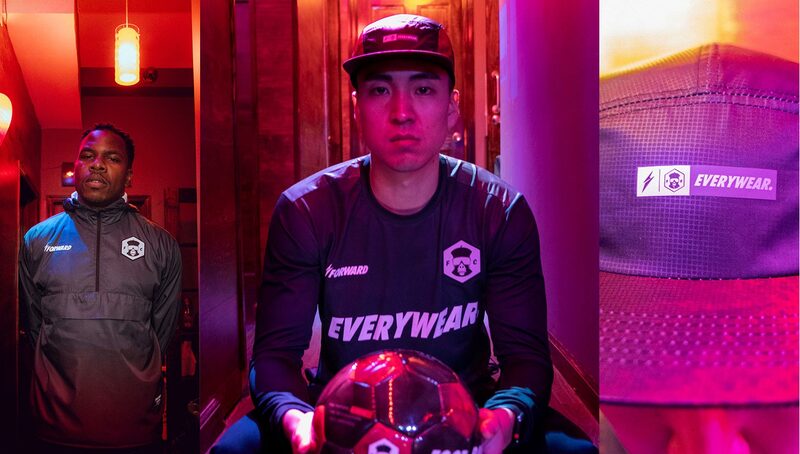 Additionally, the armband reads “captain” in Korean, a nod to Forward’s South Korean roots. 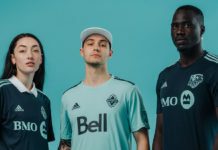 The contrast of aesthetic and message is symbolic of the unity between Guerrilla FC and Forward despite ongoing political and social turmoil. 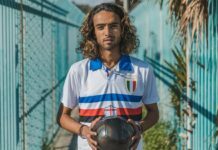 The collection is set to release January 18 exclusively through RAYSBEACHCLUB, with a special edition armband featuring the traditional captain’s “C” available via Forward’s website.